- Samsung Galaxy S7 Versus S7 Edge - What Are The Differences? 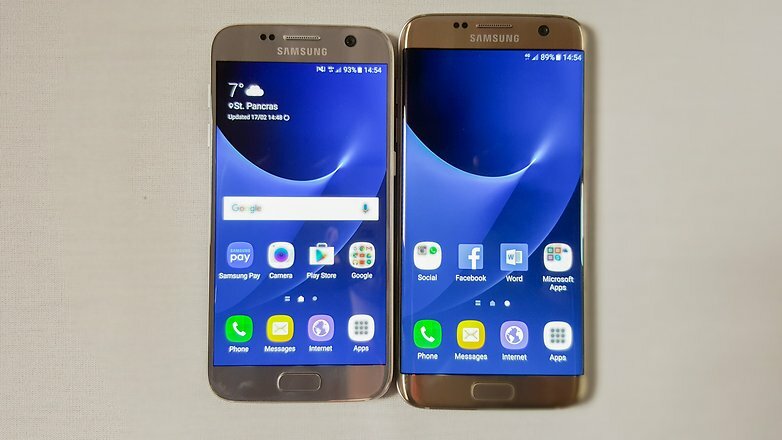 During the MWC 2016 event in Barcelona, Samsung had officially announced their new flagship models; Galaxy S7 and Galaxy S7 Edge. Rather than focused on revamping the whole design, the Korean giant had promised to deliver better user experience & enhanced features into the smartphones. Besides the much snappy OS in Android 6.0 Marshmallow, it has less bloatware, pre-installed redundant Apps as well as improved TouchWiz especially on Galaxy S7 Edge curve screen shortcuts(more on that later). The Galaxy S6 along with S6 Edge had been criticised for leaving out expandable memory slot and waterproof capabilities last year during the launch, so we are not surprise Samsung had decided to bring back both these features into this year design. Now even better than ever, with up to 200GB microSD compatibility which also works as a Sim 2 slot and IP68 waterproof rating, no more cover flap as the micro USB port are immune to water even when exposed. The S7 had retained the same 5.1-inches display panel as its predecessor whereas the S7 Edge had upsized from 5.1 to 5.5-inches without being labelled as a phablet(thanks to the bezel-less curve screen as seen from the front view). Both units had an impressive pixel density of 510 dpi on the Samsung-made AMOLED 2560 x 1440 QHD resolution panel. The screen visibility is an exceptionally sharp viewing from a different angle and the contrast handles very well even under sunlight. 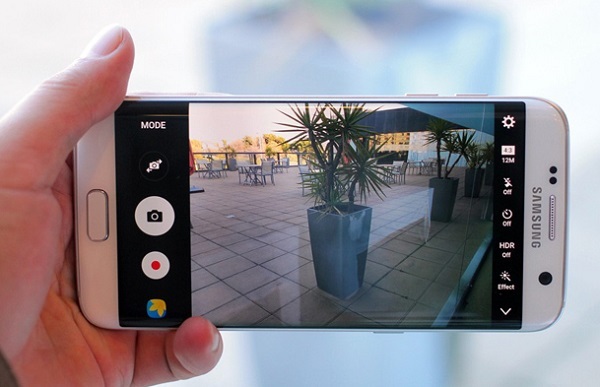 Simply put, it has the best smartphone display in the market today. 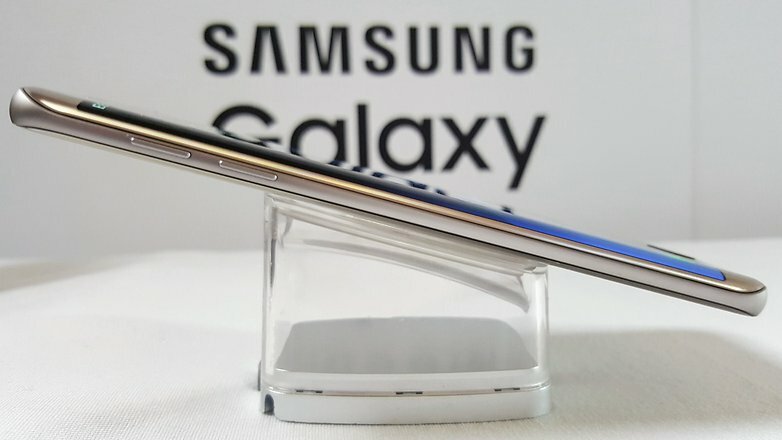 Although the S7 looks similar to the S6, the main differences are the back edges giving the S7 edge curves on both front and back. By replacing the thicker metal frame with 3D-like glass, the S7 looks a tad like a smaller Note 5. This change makes it more comfortable to grip due to concave design which fits in the palm of your hand without feeling edgy. The camera lens which lay next to the LED flash and heart-rate sensor behind the device is barely noticeable as the thickness had been reduced to 0.46 mm. Overall, the Galaxy S7 & S7 Edge is an evolution from last year models rather than a revolution. Besides the enhanced performance from Exynos 8890 or Snapdragon 820 chipset used depends on the region, these is also a upgraded 4GB RAM built into the machine. We won`t go into further details onto the specifications as it is widely covered elsewhere. Instead, the more interesting topic we will be emphasizing is the "special features". which brings in more innovative ways to improve the phone efficiency & user friendliness. One of the S7 and S7 Edge biggest spotlight is the Always On standby display which acts as a clock, calendar as well as notifications like a smartwatch. It uses very small pixel to power the wallpaper-like panel thus, result in minimum battery consumption. Samsung has announced during CES that Samsung Pay will be available in Singapore, Australia & Brazil. That`s good news for Samsung smartphone users as they now have more options to pay at retail outlets in Singapore without having to carry credit cards in their wallet by simply access the payment system using the fingerprint scanner. Using NFC capabilities to charge the Galaxy S7 Edge wirelessly, Heart-rate monitor, as well as the integrated S-Health Apps, allows health-conscious users to reach their daily goals. Sidebar on the S6 Edge is not widely used until the S7 Edge. By taking full advantages of a larger display, users can add up to two columns of the shortcut menu. Two new edge features adding to the list are Task Edge and Edge panel. Task Edge lets you add daily tasks like writing messages or calendar event onto the Edge menu bar. Edge panel is basically an information sidebar with lets you check on today stock Market, News and Weather to name a few. More third-party apps will soon be available on the Edge menu if the function proves it`s popularity in the future. technology and optical image stabilizer which in turn reproduce four times faster focus in the dark and two times faster in the daylight. Although the battery is still non-removable thanks to the device unibody design, Samsung fans will be pleased with an additional bump in battery capacity. The Galaxy S7 is now powered by 3000mAh battery and 3600mAh in the Galaxy S7 Edge. Both units support fast charge using micro USB and wireless charger. Samsung Galaxy S7 Price for the standard 32GB version will certainly be up for grab at RRP $998 and Samsung Galaxy S7 Edge Price in Singapore Dollar $1098. What's more, everyone from March 11 onwards can purchase both handsets without paying premium prices at Hitec Mobile Singapore. Colour options are Black, Gold Platinum and Silver Titanium depends on availability.